Without a doubt a highlight of every WNBA season and certainly a blast for everyone that had a chance to experience the best in women’s basketball. Beyond The W and our partner in crime, The W Podcast, were on hand and the sights and sounds are still fresh on our consciences. Also among those on hand were InStyle, which did a fresh photoshoot featuring six of the W’s most notable figures. Those were Breanna Stewart of the Seattle Storm, who had herself an unforgettable 2018, Skylar Diggins-Smith of the Dallas Wings, the Las Vegas Aces’ A’ja Wilson, the Phoenix Mercury’s Brittney Griner, the Washington Mystics’ Elena Delle Donne, and the Minnesota Lynx’s Sylvia Fowles. 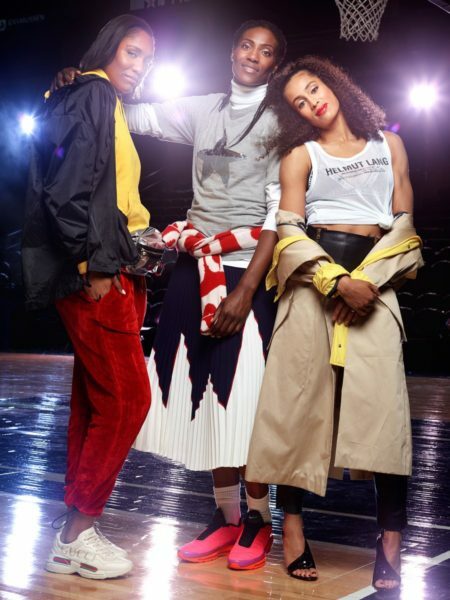 The shoot was not only about these six WNBA greats can show their style in apparel other than their team uniforms. It also shed a further light on the issues the league is facing – particularly as it enters into what is likely to be a hotly contested CBA-based offseason amidst questions about who will take the league’s reins with Lisa Borders’ departure upcoming, effective November 1st. If women are doing the same job as a man, they should definitely be paid the same. I love how people come up and take pictures, but when I go overseas, I actually feel normal. My ability to connect with people through the game of basketball will be something I expect to take advantage of for the rest of my life. It is frustrating, but it’s something we’re trying to change, and until then, whether we like it or not, we have to go overseas to make the majority of our money. To be in the place I am now, and the age I am now, I feel like I’m making up for lost time. I’ve always been a vocal person, so to have those [dyslexia advocacy] issues recognized by LeBron was huge.